This will be the scene in downtown McKinney in the next week or so, as the city prepares for the holiday season. Doesn’t it feel like it was just September? Then we blinked and it was November. We did enjoy many wonderful activities in McKinney in October; it just seemed to go by in a whirl. Now that we’re into November already (it’s Election Day, as we post this – we hope you all voted! ), there is again so much to keep everyone busy as we close in on the holidays – music, art, drama, races, and of course, Dickens of a Christmas. Three galleries and 22 artists’ studios will welcome guests for tours (self-guided after buying a ticket booklet – get tickets HERE) during the McKinney Art Studio Tour (MAST). This is the fourth year of the tour which offers T-shirts for purchase, and those who complete at least 15 stops on the tour (validated by signatures from the artists) can enter a prize drawing. The self-paced, leisurely tour allows visitors to watch the artists where they work and live, and talk to them about their creative processes. McKinney Main Street kicks off the holiday on Thanksgiving weekend (Nov. 23-25) by hosting Dickens of a Christmas – Home for the Holidays. 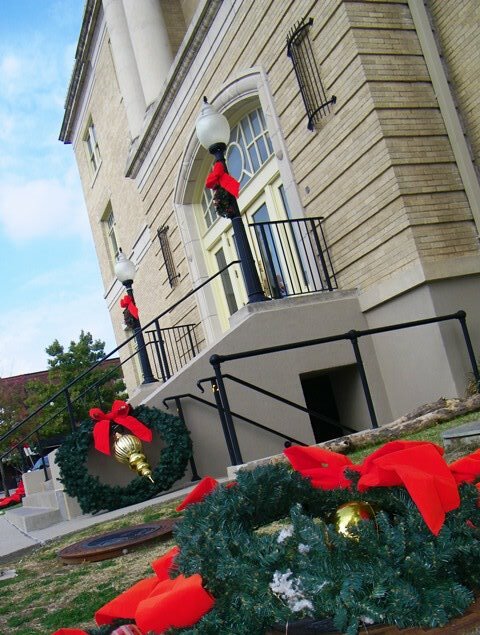 Historic Downtown McKinney will offer holiday shopping, entertainment, activities and food. This free event offer visitors to Historic Downtown McKinney a chance to enjoy strolling carolers, live entertainment, carriage rides, children’s activities, holiday shopping and dining at the more than 100 shops and restaurants downtown. 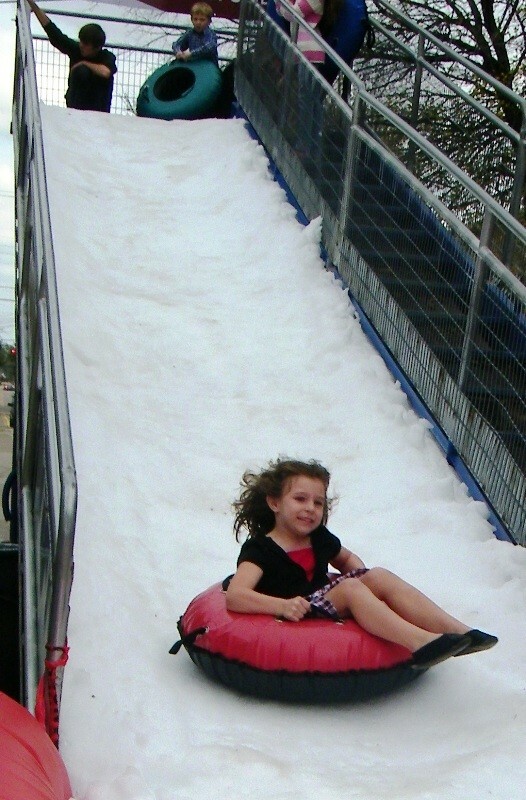 The ever-popular show hill is coming back this year, and of course, Dickens wouldn’t be complete without Santa! This fun and healthy family event starts and ends at McKinney’s Mitchell Park early the Saturday morning after Thanksgiving (Nov. 24). The McKinney Rotary Club hosts this race that benefits Holy Family School and other charitable organizations. 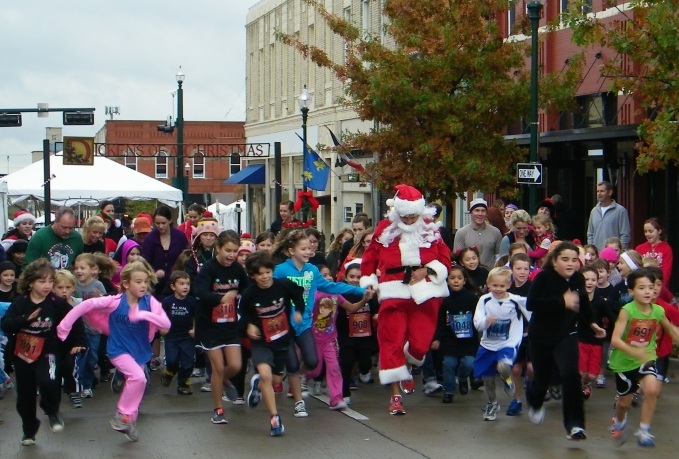 Before the race, kids get chase Santa (alias McKinney Mayor Brian Loughmiller) in the Great Santa Chase. Teams and families often dress in costume; strollers and dogs are welcome! Then hang around town after the race to enjoy Dickens. How fun is this? Teams of four each ($200 per team to enter) will spend the day (Nov. 10) on the downtown square, saving money (participating stores offer discounts to these teams), stopping for great food, and having 100% of the proceeds help kids in our area who have aged out of the foster care system and were never adopted. You can check out the charities here: www.embracetexas.org andwww.simplestofgifts.com. Everything from young performers to seasoned ones are performing this month. Legally Blonde, the Musical (Nov. 10-11, 15-17): Fine arts students at McKinney Boyd High School bring this adaptation of the popular Broadway musical to their auditorium at 600 N. Lake Forest. An opening night gala on Saturday (10th) features reserved seating, dinner, dessert at intermission, a silent auction and a meet-and-greet with the cast following the show, all for $25. Regular show tickets are $15 for adults. Get tickets HERE. Young Actors Guild One-Act Plays (Nov. 16-18): McKinney Repertory Theatre’s Young Actors Guild presents two one-act plays, the mystery comedy “Who Murdered Who?” and an old-fashioned melodrama, “She Was Only a Farmer’s Daughter.” For showtimes at the McKinney Performing Arts Center (MPAC) and to get tickets, click HERE. 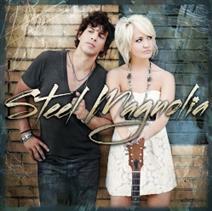 Steel Magnolia (Nov. 29): This country duo won Can You Duet? on CMT in 2009 and now they’re hitting the Courtroom Theater stage at the McKinney Performing Arts Center. Winners of the McKinney Mash-Up (finalists were crowned earlier in the month) will open for the duo. Get tickets HERE. 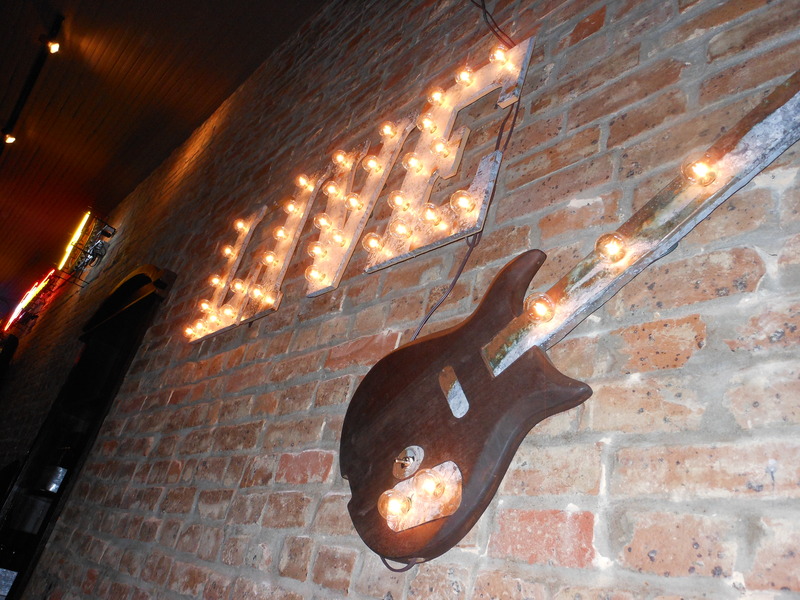 Many talented musicians and singers call McKinney and our area home. You can see them almost any day of the week at many eateries and the wineries downtown and elsewhere throughout the city. Below are establishments that regularly offer live entertainment. Design Ten1 Studio: Ashley Bossung Bruegel; 110 S. Tennessee. 972-542-5514. Garret Gallery: Garret artists Clara Stovall, Ginny Bitting, Babs Light, Gail Delger, and Marian Hirsch; 111 E. Virginia; 972-548-9361. Imaging on the Square: Jewelry artist Joy Jones. 109 S. Tennessee, 972-548-7575. Laura Moore Fine Art: Peggy Epner (GODSPEED); 107 S Tennessee. 214-914-3630. Orisons Art & Framing: Santa artist Brenda Brannon;. 110 E. Louisiana, 972-529-1441. McKinney Wine Merchant: Nick Saia (sample pictured at right) and wine tastings from Mt. Eden Vineyards; 120 W. Virginia, 972-542-4636. Main Street Magic & Fun Company presents two cabaret style magic shows in their Magic Attic Theater on Saturday – 7 p.m. and 9 p.m. $10 each. Seating is limited so call 214-274-7802. While we try to be as complete as possible in our monthly event blog, new things do come up, and then there are the monthly standards like flea market and vintage shopping at Third Monday Trade Days, Old Red Lumberyard, and the Flour Mill District; classes, garden shows and workshops, nature days and Dinosaurs Live! (at right) at the Heard Museum and more! As always, check VisitMcKinney.com and the Destination McKinney Texas Facebook page for more event information.